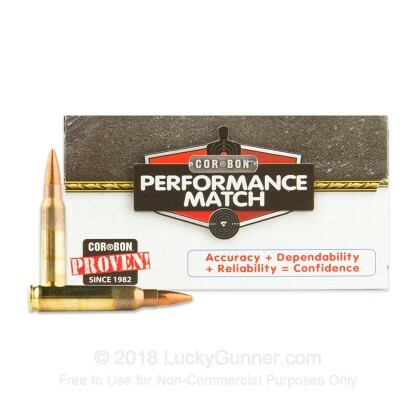 This Corbon Performance Match ammunition is a dependable companion for competitive shooters of AR-15s and other .223 Remington rifles. It uses low-flash, low-smoke propellants and delivers relatively low recoil, traits that all contribute to higher performance in a rigorous competitive setting. 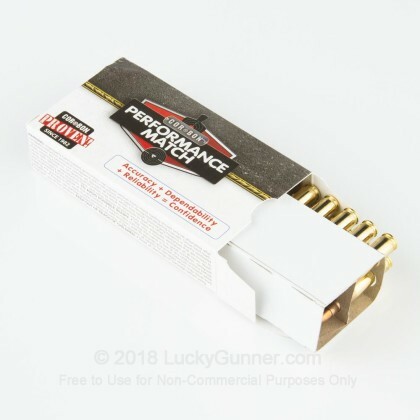 Each cartridge in this box of 20 fires a heavy 69 grain bullet at a muzzle velocity of 3,000 feet per second from a 20-inch barrel. 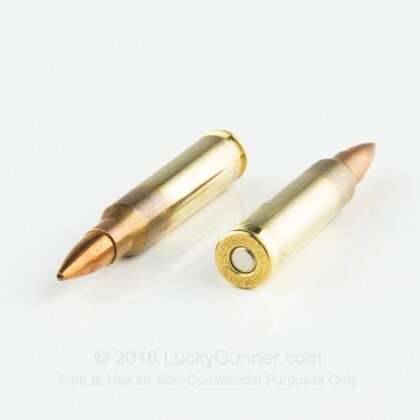 The heavy boat-tailed hollow point projectile is typical of match-grade .223 loads and provides added stability and wind resistance. This makes the round's point of impact more predictable and enhances overall accuracy significantly. Corbon is a premium ammunition manufacturer based in Sturgis, South Dakota. 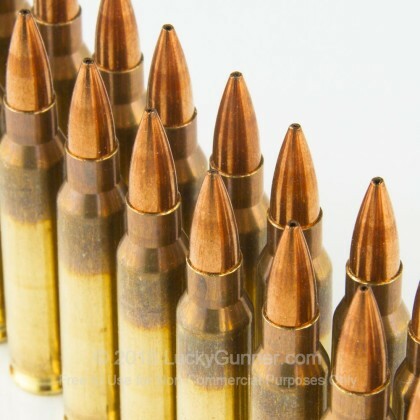 Their products are typically high-velocity "hot" ammo designed for high quality firearms. Corbon ammo uses non-corrosive Boxer primers and brass cases. 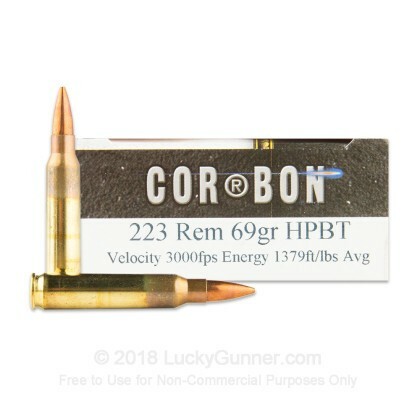 We don't have any reviews yet for this particular .223 Remington ammo from Corbon. 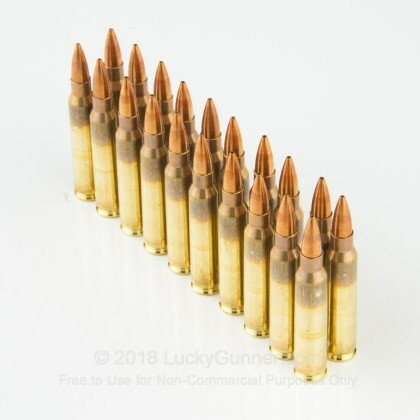 If you'd like to be the first to review this particular .223 Remington ammo from Corbon, fill out the form below.